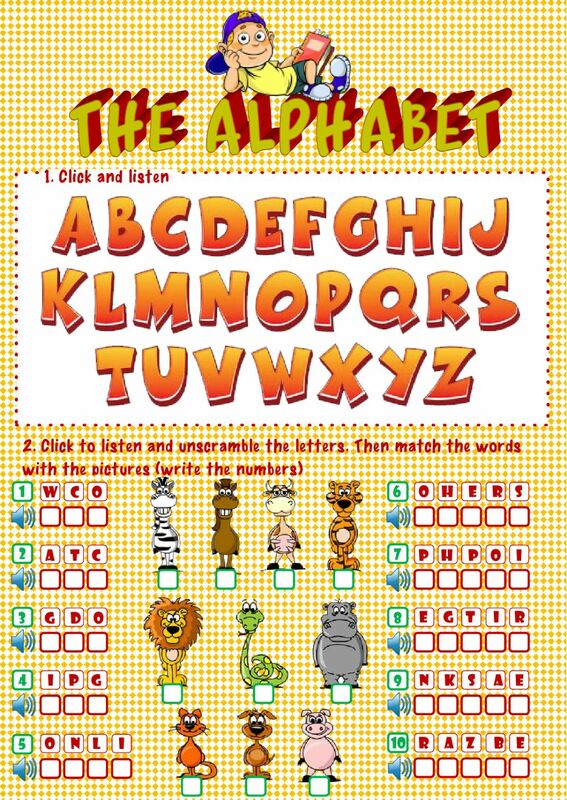 Listening worksheet to learn and practice the alphabet in English. Copyright 3/5/2017 Víctor Gayol. Publication or redistribution of any part of this document is forbidden without authorization of the copyright owner. Amazing ! Children are going to love That !!!! Seriously? Your wss are original and attractive, perfectly suit to our modern ss' needs. Thanks a lot!